Hi, this is the third in a series of blog posts regarding the risk adaptive approach, focusing on a pharmacokinetic (PK) clinical trial of ciprofloxacin administered off-label to neonates (please see previous post). This post described the development of a model combining a risk assessment with a more proportionate approach to the regulations for a Type A trial. The model was validated by MHRA and published on the forum on its web site. MHRA encourages investigators to incorporate a risk assessment, supported by methods to mitigate risks, either integrated in the protocol or as a separate document. The aim of the risk assessment was to consider the wider practical challenges of conducting a trial in the context of critical care rather than being limited to governance checks. The assessment supports the Type A categorisation as the methods to mitigate risks provide further assurance. The following sections highlight some examples of the challenges and how Type A category adaptations reduced barriers to conducting the trial. Babies in critical care may be diagnosed with suspected sepsis at any time of day or night, therefore it is unpredictable when the researcher can discuss consent with parents of eligible babies. At this time the parents are often stressed as their baby has become even more unwell. There is little time for the researchers as the clinical protocol requires antibiotics to be administered within 30 minutes of diagnosis and PK blood samples were required within 3 minutes of the first dose. Different solutions were considered prior to completing the protocol, including prospective consent for babies who were more likely to be diagnosed with suspected sepsis. The clinical team defined early indicators for babies at higher risk of sepsis and their parents were approached for consent in the event their baby was subsequently prescribed this antibiotic as part of their standard care. 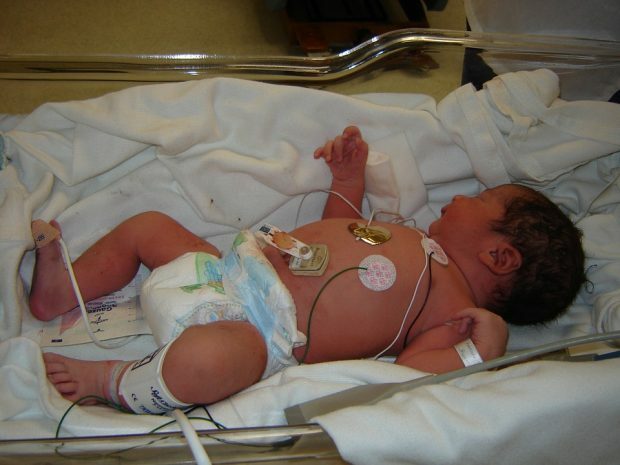 This allowed the researcher to collect blood samples as soon as the baby was treated. An advantage of this approach was that prospective consent allowed parents more time to consider the information at a less stressful time before their baby was diagnosed. In addition, as the antibiotic must be administered urgently, we included Emergency Deferred Consent as per the Medicines for Human Use Clinical Trial Regulation. PK blood samples were then collected following the initial administration of the drug, then the researcher requested informed parental consent at the earliest possible time. It is not unusual for babies to be transferred as far as 100 miles to such specialised lead centres. As parents may be at home caring for other siblings, to ensure staff were available out of hours to consent, this role was also delegated to competent registered nurses. This approach was approved by MHRA and Ethics, subject to a medically qualified person confirming the participants’ eligibility. Assessing the risk to recruitment specific to critical illness enabled the researcher to consider solutions at an early stage, these solutions were then incorporated in the protocol, therefore approved by Ethics, MHRA and the sponsor prior to starting the trial. The trial recruited to target in the timeframe with representation of each sub-age group for this population. Inevitably there is a risk to data reliability when collecting samples and administering the drug by large clinical teams - as many as 400 nurses were rostered day and night between the 2 recruiting sites. As any baby may be diagnosed with sepsis, all staff were required to support the trial. A potential barrier included checking whether all these nurses were required to be GCP-trained, provide curriculum vitae and be named on a delegation log. A more proportionate approach was to define the research roles specific to each member of the clinical team, including medical, nursing and phlebotomists. Trial training was structured specific to their role - such as drug administration or blood sampling and data recording - and recorded on an auditable training log. Members of the core research team were classed as having significant research roles, for example this included informed consent, therefore they were required to attend GCP training and be added to the delegation log. By walking through each step of the patient’s care, it was found that there were differences in drug administration practice at each site depending on whether the intravenous infusion line was primed with saline or with the drug. It was estimated that when the line is primed with saline this may result in up to 24 minutes delay before the drug reaches the vein, which could affect PK concentrations depending on the time of the sampling. The infusion practice at each site was assessed then case report forms and data collection tools were designed to accurately record the details of the infusion to ensure data reliability. 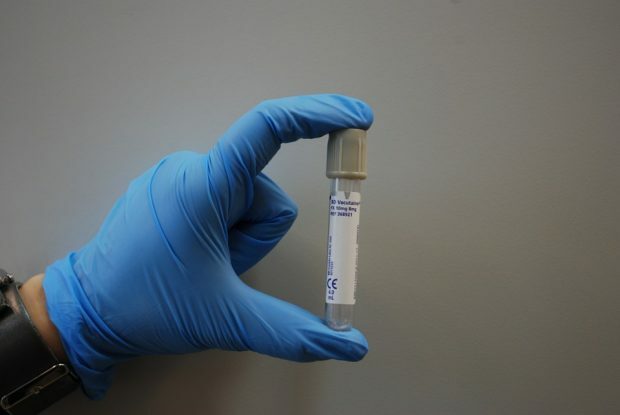 The collection of blood samples was also standardised in the training, due to the risk of contamination if the infused drug was administered via the same line as samples, as this may result in errors. In addition, we considered the risk to critically ill babies, as intravenous access is limited and there are risks associated with blood loss due to sampling. The European Medicines Agency recommendation provides valuable guidance and recommends no more than 2.7 ml/kg blood sample to be collected per month. In this trial this allowed as little as 0.2ml per sample for 500g babies. With such small sample volumes there is a greater risk of error, emphasising the need for this detailed review of practice prior to developing trial training and tools. The risk assessment informs the design of the monitoring plan and in this trial one of the highest risks was to data integrity. This highlights the importance of monitoring clinical aspects of the trial by those skilled in assessing clinical practice to ensure data reliability, rather than limiting monitoring to governance checks. In critical care the patient population is clinically unstable, therefore presents with a complex series of serious and non-serious adverse events (AEs) that occur frequently due to the nature of their underlying condition. 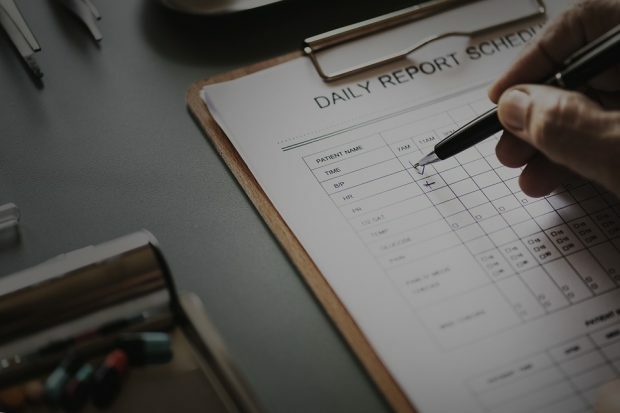 There is a risk that adverse event reporting becomes a burden to the team or creates unreliable ‘nuisance data’ that cannot be usefully interpreted when determining causality unless collected as part of a blinded randomised controlled trial. To minimise the reporting of unrelated events, the regulations were reviewed to provide a framework for proportionate safety reporting in the context of critical illness. Serious Adverse Events (SAEs) were classified as either ‘anticipated’, due to the nature of the clinical condition, or ‘expected’, to include reactions listed in the IMP Reference Safety Information (RSI) as detailed in the Summary of Product Characteristics (SmPC). An estimate of the incidence of anticipated events based on previous data for this population was included in the protocol (this included mortality associated with extreme prematurity or sepsis). SAE reports were still recorded and monitored during the trial as part of standard clinical care but exempt from expedited reporting to MHRA. An Independent Data Safety Monitoring Board (IDSMB) provided oversight of the accumulative safety data on the understanding that, if the incidence exceeded the anticipated rate, the SAE would be reported as a Suspected Unexpected Serious Adverse Reaction (SUSAR). The period of safety reporting was limited to 6 weeks following administration of the IMP to each participant in the protocol, as many very premature neonates are frequently readmitted to hospital following discharge. The sponsor is required to define in the protocol the non-serious AEs or adverse reactions (ARs) that require reporting if critical to the safety of the trial or of interest in relation to the trial outcome. Events of interest were defined in the protocol then systematically recorded in the case report form rather than ad hoc adverse event forms. The first step was to prepare a summary table of known adverse reactions relating to each body system based on the RSI in the SmPC. This information was then systematically collected using data collected for standard clinical care to avoid additional sampling - for example, blood results recorded in the case report form for further safety and covariate analysis. This avoided over-reporting of adverse events normally associated with the clinical condition, concomitant medication or clinical interventions whilst providing data for further covariate analysis. By systematically collecting data on all patients, this reduces the risk of attributing adverse events to the IMP. This is particularly important in critical care as, for example, these patients were administered as many as 18 concomitant medications during their admission. This proportionate regulatory framework considerably reduced reporting unrelated events, reducing the burden to a busy clinical team. Seventeen SAEs were reported during the trial that were classed as unrelated when assessed by independent clinicians and the IDSMB. AE (non-serious) data is more reliable when collected systematically for subsequent covariate analysis. Misleading information can be produced if safety assessments are limited to ad hoc reports by the clinical team. The risk assessment identified challenges and solutions associated with drug accountability. To treat suspected sepsis without delay, the clinical protocol required antibiotics to be readily available on each ward to be administered within 30 minutes of diagnosis. As ciprofloxacin is prescribed as part of standard NHS care, Regulation 46 allows exemptions from Annex 13 IMP labelling. Exemptions from the need for accountability logs and temperature monitoring are allowed when justified in the risk assessment under the risk adaptive approach. These exemptions meant that the clinical team were able to administer the drug from ward stock without delay, as opposed to collecting IMP from a pharmacy. Also, it avoided the burden of checking the temperature of the drug daily as this is not required in clinical practice when stored in a ward area. The research fellow was required to gain R&D approvals at all non-recruiting sites where follow-up data may be required in the North West - in total this was 40 hospitals where the baby may be transferred closer to home before discharge. By preparing the risk assessment at the time of preparing the protocol, this ensured these issues were identified at an early stage allowing further discussion with the Clinical Research Network (CRN) and governance teams. The CRN agreed that a statement of responsibilities specific to the role in follow-up could replace the need for a contract. A simplified electronic site file specific to the role of the follow-up site reduced the burden of preparing files and archiving. Prior to starting the trial, most of these site approvals were in place, avoiding any delay in accessing follow-up data at the time of discharge. However, on reflection, this level of governance was disproportionate as by the end of the study only 3 babies were transferred to a hospital nearer home. The Health Research Authority (HRA) centralised approval process has made considerable improvements in governance processes for studies conducted at multiple sites since this trial commenced in 2011. Clinical academic research fellows are often new to conducting trials, therefore this is a relatively short period to know what you did not know to overcome potential barriers. Extensive knowledge is required to navigate regulations and it is time-consuming to negotiate with MHRA on a study-by-study basis. It is important therefore that risk assessments involve the wider team, including those with knowledge of clinical trial regulations, the clinical context, patient pathway and the protocol. In this trial it was important to include those with ‘hands-on’ patient care, for example, nurses and phlebotomists, to assess the risk of clinical procedures. The development of a detailed risk assessment is time-consuming and it is often completed after the protocol is written - almost as a tick box exercise - and is limited to governance checks. The models published by MHRA provide some guidance to research . These templates may be adapted by sponsors to encourage investigators to assess risks at each step of the trial. The published models may be simplified by organisations if they reference established Standard Operating Procedures. Investigators are encouraged to discuss the risk adaptive approach with the MHRA CTU helpline if they have questions or concerns. Overall, a more proportionate culture has evolved since the introduction of this initiative with the regulators, HRA and local governance teams. Identifying potential barriers at an early stage, and then incorporating solutions into the protocol consistent with the regulations, definitely had a positive impact on the success of this trial, which completed to target and on time. Myths have evolved regarding regulatory requirements resulting in grey areas. As this model was part of a consultation process, the MHRA inspectors verified whether the adaptations included in this model were consistent with the regulations. A benefit of the risk adaptive approach is that it provides a framework for investigators to indicate which proportionate approaches are supported by the regulations for Type A trials. Further guidance is available in the MHRA Good Clinical Practice Guide and examples of risk assessments are included in the published model MHRA Forum and the MHRA Inspectorate blog . Sponsors and funders may encourage researchers to consider this approach at an early stage to facilitate timely trial set-up and completion.